Paddington is not a dining destination. Despite some regeneration, the station and its immediate surroundings is still best known for a clutch of hostile pubs and an anthropomorphised bear with a hankering for marmalade, as far as gastronomic prowess is concerned. Nearby Bayswater, on the other hand, has always been a reliable alternative with its platoon of Chinese restaurants. 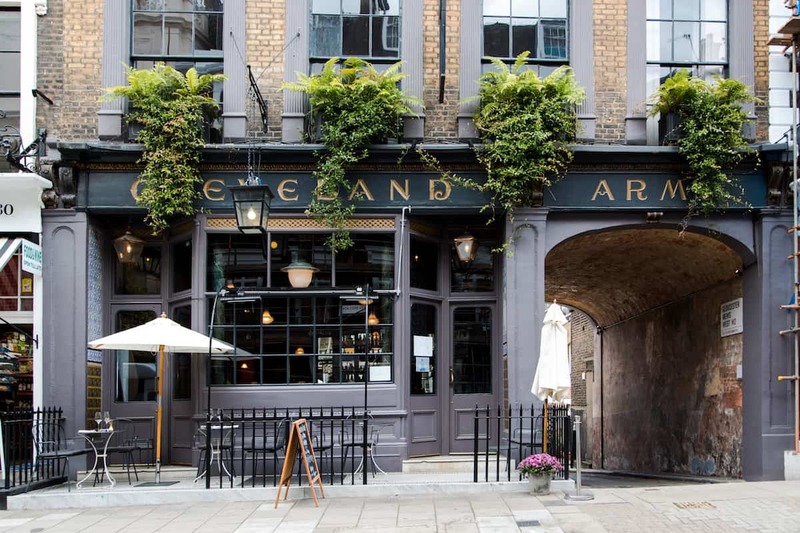 Over the past decade, a number of commendable restaurants have opened near Paddington station, with The Cleveland Arms perhaps the most notable of the bunch. Established during the mid 1800s, the pub was taken over by local businesswoman, Maria Tamander, in 2014. 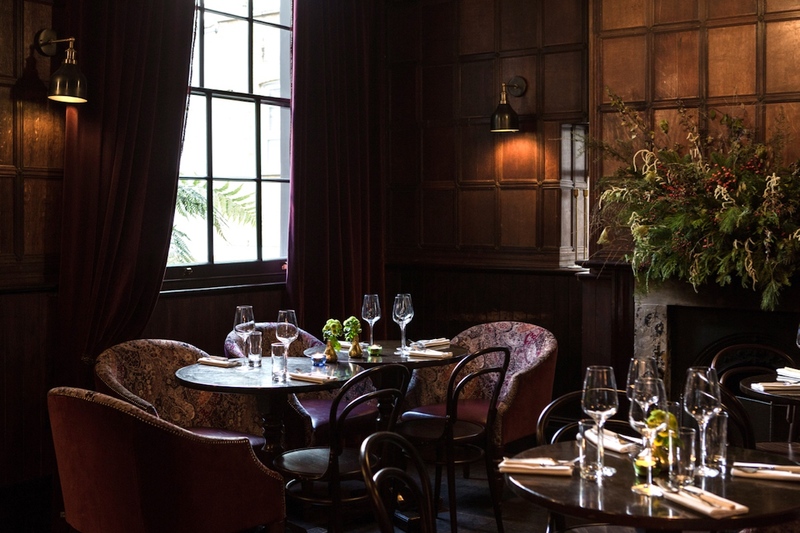 The Victorian, Grade II listed pub has since undergone a restorative makeover and chef Louis Lingwood (having previously worked at Oldroyd) has been brought in to head up the kitchen. Inside, the space strikes an intrinsic balance between stylish and homely, honouring the building’s character without any of the wankifery that comes with the ‘gastro’ prefix thrown around so haphazardly. Specific care has clearly been taken to preserve the classic pub charm, which The Cleveland Arms has in abundance. (It’s also a registered Cask Marque pub). A horseshoe bar continues to dominate the main space, with dark walls, wood panelling and dim vintage lights against dark wood furniture, plush armchairs and velvet curtains. The dining room is split between the back room and an underground space equipped with an open kitchen. Service is familiar but competent, complementing the homely pub atmosphere. As for the menu, elevated pub food is championed, carrying a distinctive European influence in addition to a parade of seasonal classics executed with elegant simplicity. A recent lunch began with a plate of exemplary gnudi – Italian dumplings like gnocchi, yet lighter – stuffed with ricotta cheese and spinach. Alone, the gnudi were superlative, but it’s the surprising addition of rainbow chard, fistfuls of parmesan and a gloriously insalubrious sauce of butter and sage that brought everything together, ultimately rendering the dish a menu highlight. Across the table, grilled mackerel was deftly cooked with well-crisped skin, accompanied by a parade of modestly prepared ingredients: Agretti – a gratuitously underrated crop native to the Mediterranean basin’s sandy seashores, subtly flavoured, salty and with pleasant texture; sweet blood orange segments and a salsa rossa with just enough vinegar to bring balance without overpowering. A lamb main, favouring rump, also celebrated accomplished simplicity, cooked pink (as it should be) and accompanied by pine nuts, aubergine and a healthy drizzle of south Italian Salmoriglio. Moreover, The Cleveland Arms also offers a weekday lunch deal, with a daily special available for £10, or £12 with a glass of wine or beer. These include the likes of salt cod and chickpea strew with spinach and aioli; bottarga and wild garlic tagliolini; or moules mariniere and chips on Fridays. Here, a willow-patterned bowl harboured a generous portion of plump mussels, properly cooked and (most importantly) well-cleaned, lulling in a pool of sauce rife with white wine, cream and slivered shallots. On the side, chips were fried multiple times and happily chunky, pelted with rock salt. Bravo. To finish, a chocolate chip and almond tart featured a divine union of the two ingredients, further embellished with a stewed mandarin segments and a rocher of mascarpone cream. A pleasant conclusion to a venerable lunch at W2’s best-kept secret. The Cleveland Arms can be found at 28 Chilworth Street, London, W2 6DT.